Oral herpes, or more commonly referred to as fever blisters or cold sores, is a highly contagious infection caused by the herpes simplex virus type 1 (HSV-1). While oral herpes is most often thought of as affecting the mouth and lips, symptoms are not limited to this area. Oral herpes can also cause symptoms on or inside of the nose, on the chin or cheek, and on the throat or tonsils. If you are experiencing cold sores with the same symptoms on your throat or tonsils, you may be wondering if you can have oral herpes on tonsils and if so, what you can do about it. The herpes simplex virus is a known cause of tonsillitis. Similar to the raw, cracked blisters people with oral herpes experience around their lips and mouth, tonsillitis brought on by herpes often causes these raw cracked blisters to appear on the tonsils. Treatment for tonsillitis depends on the cause and is determined by your age, medical history, severity of the condition, and your personal preference. If herpes is the cause of your tonsillitis, treatment will be aimed at controlling the herpes virus and easing discomfort caused by your symptoms. However, since herpes is not always the cause of tonsillitis, it is best to see a medical professional to determine the cause and suggest an appropriate course of treatment. 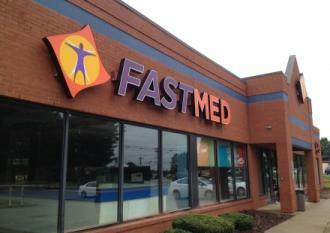 If you have oral herpes and are experiencing the symptoms of tonsillitis, visit your local FastMed. Our on-site labs enable us to provide you with test results and treatment options fast and our medical professionals are available 365 days a year to provide you with prompt and personal medical treatment.